Fall is here and with it the beginning of a new school year. For many comic book readers, that means college classes with esteemed professors. The world of college classes is not something that is shown all that much in comic books (The Empire State University in Amazing Spider-Man being a notable exception), but we do still have a handful of professors around in Marvel and DC Comics. So who are the top 5 comic book professors? For this list, I did not include all kinds of teachers (that could be a different list someday) but rather characters that are usually called "Professor." Often, the title is more related to science than teaching. Consequently, some of these professors do little to no teaching, and you certainly wouldn’t want a few of them for an 8am class. How many college professors can claim to have their own T-shirt? 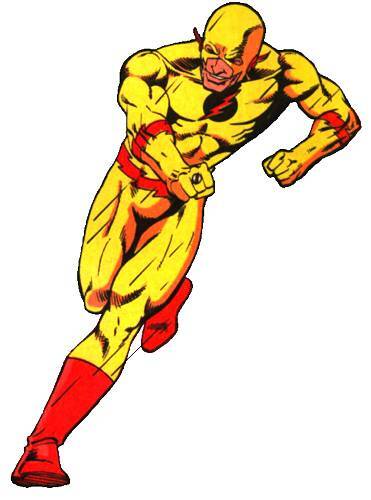 Well, Eobard Thawne may not be a college professor, but he does have the distinctive yellow anti-Flash costume. A longtime foe to Flash (first appearing in 1963), Professor Zoom was originally from the 25th Century and used his advanced knowledge to replicate the Flash's speed abilities. Thawne's story has changed significantly over the decades and status-quo changes, and he recently played a pivotal role in the miniseries Flashpoint, which essentially reset the entire DC Universe continuity. As far as villain names go, Reverse Flash is okay, but Professor Zoom? That is awesome. Another guy who doesn't seem to do much teaching, Professor Hugo Strange spends his time aggravating Batman. In fact, most people don't realize that Strange was one of the first villains to reoccur in Detective Comics, having first appeared all the way back in 1940. Although he has disappeared from Batman's comics for long stretches of time, Strange is also significant because he deduced Batman's secret identity as Bruce Wayne during a storyline in the 1970's. Modern or new comic book readers may primarily associate Professor Hugo Strange with the hit videogame Arkham City. In it, Strange was one of the primary antagonists for Batman. Here he also had figured out that Batman was really Bruce Wayne and was using that information to push the Dark Knight. This name might not immediately jump out at some people, but Professor Martin Stein has played a pivotal part in the history of Firestorm, the Nuclear Man. For the original Firestorm, Ronnie Raymond combined with the consciousness of Professor Stein when occupying the Firestorm form. Raymond controlled Firestorm's action while Stein played a guiding mentor figure, not unlike the Ben Kenobi spirit for Luke Skywalker. Later, when Raymond was killed during Identity Crisis, Firestorm became Jason Rusch, and Stein tried to help him (although Stein was not part of the Firestorm identity). In the New 52, Stein has had a lesser role, as Ronnie Raymond and Jason Rusch share the Firestorm identity. However, both Raymond and Stein are reportedly going to appear in the new Flash TV series. Anthony Ivo is one of the foremost "mad geniuses" of the DC Universe. Captain Marvel's nemesis Professor Sivana and T.O. Morrow are other brilliant and evil minds -- though neither is called professor! Additionally, I chose Ivo because he's the creator of one of the Justice League of America's classic villains, Amazo. Amazo has the ability to replicate all of the Justice League members' powers, making him an incredibly powerful threat. Ivo, due to his scientific and inventing prowess, was frequently a formidable foe to the Justice League as well. Ivo has appeared in the New 52, most significantly as a founding member of the Secret Society of Super Villains. The number one choice for comic book professor is really not really close, as Charles Xavier is by far the most important professor around. 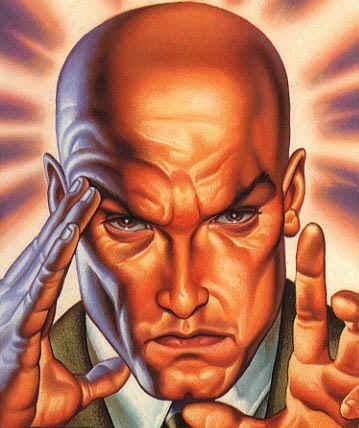 Although the Xavier School for Gifted Youngsters was not really a college, Professor X has the requisite research/knowledge base and teaching credentials to accurately be called professor. Eventually, Xavier’s school came to be known at the Xavier Institute For Higher Learning, attracting older students such that it could be comparable to a college. Through his long history, there have been episodes where Xavier's decisions could be questioned, if not outright criticized (Deadly Genesis is one important example). Still, he has mostly been a good mentor for the X-Men. Currently deceased in the Marvel Universe (killed by a Phoenix force-possessed Scott Summers), it seems like only a matter of time before Xavier is back professorating. Tell me what you think – are there other comic book professors who deserve a space on this list? Offer your thoughts in the comments.